Where would I find vacancies for SEA LIFE Birmingham and other Merlin Entertainments Attractions? What's involved in an Aquarist role? What's involved in a Commercial Assistant role? What's involved in a Guest Experience Assistant role? Are you interested in a future career working with the Sea Life team?  Why not come and gain some hands on experience at the National SEA LIFE Centre Birmingham! Life at the aquarium is busy, ever changing and totally unpredictable. We can never guarantee what you will be doing on you work placement, however we will endeavour to give you as broad and interesting an experience as possible. We are pleased to offer work experience placements to GCSE students within our commercial, photography and guest experience departments. These opportunities are in extremely high demand and, as such, we will be running assessment centres during January 2019 to allocate six, week-long placements. Please note, placements will be scheduled to take place strictly within the period of 25th June-20th July 2019. Work experience applications for 2018 are now closed. Applications for 2019 will be accepted from 29/10/2018. For further information and how to apply, please visit here.